Your business plan needs seven specific elements that will make it stand out beyond just the basic pile of applications and home printer documents everyone regularly sees. If your company is going to run a viable business plan and investors are going to put their money into it, your information has to be top notch. And that includes knowing every topic involved, not just your internal operations. Research and critical analysis are key to developing and communicating a business plan properly. The information used has to be relevant, valuable, and objective. However, you’re not writing a novel, so the presentation also needs to be concise. That means choosing the right research to include versus just a brain dump of anything about the company’s situation. What is your business plan being written for? A road map on how to operate? An investor or loan pitch? Both? A historical document? The purpose has to be clear and definitive. If you don’t know why you’re writing a business plan, the effort will be a waste of time. Knowing also means having a target audience you expect the plan to be ready by. With both defined, it will help dictate what information is included and how. Some people call it a company profile, others a snapshot. Either way, your business plan needs a section that gives a reader a clear view of what your company is, does and provides in a few paragraphs. This should be the same information that one would find if they looked on the business’ website. It’s designed to be quick and digestible mentally because it needs to stick in a reader’s mind quickly, especially as more information is provided later in the plan. If the reader remembers nothing else, he or she will have the profile well entrenched in memory. And that matters when your plan is being considered with others. Some folks write their business plan to only highlight what they think are the selling points and good features of their venture. That’s a mistake. Most readers have a pretty good idea where the company sits in the big picture. Detail the company’s status in full, good and bad. And where there are weaknesses, include plans on how they will be addressed given the right support. Details should also include key features like patents, licenses, copyrights and unique strengths no one else has. A simple mistake made by most startups is that people think they can write a business plan without knowing first how something is going to be sold. A strategic marketing plan is essential; it shows how your product or service is going to be delivered, communicated and sold to customers. It covers where, when and how much, all the key pieces that later on feed into the financial statement projections in the business plan. No surprise, marketing has to be nailed down before planning out the rest of the business. 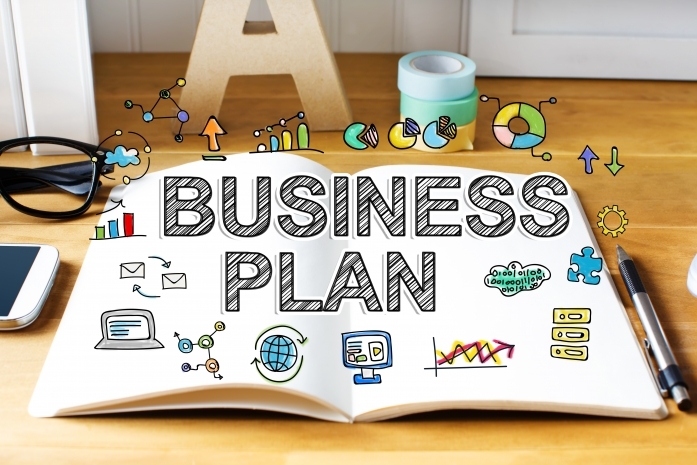 Another common mistake folks often make is writing only one business plan. The document given to a lender is going to be very different than the one for internal direction. Smart startups have multiple versions, just like candidates have multiple resumes for different prospective employers. Match the plan and message to the audience you are addressing. This is the most important piece in a successful plan – your motivation and goals. Why are you going through all this effort, work, sweat and effort? Your motivation needs to be a reason that will convince people the business will succeed, through thick and thin. A business needs a mission that drives it, not just selling to make money. Your motivation defined in the business plan is that mission.